Typical dishes of very good quality and at a good price. Located in San Pedro 16 Santiago de Compostela. 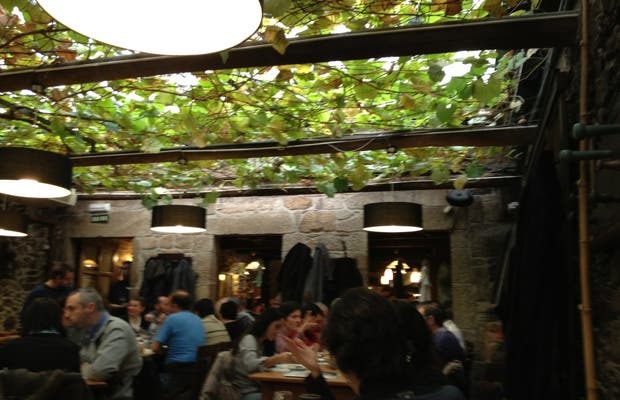 The menu includes a tapas of croquetas with smoked meat which are very good, well-made tortillas, octopus or grilled octopus, among other things ..... You can not go through Santiago without eating at this restaurant.